From October 1953 the Advertiser extended its coverage by publishing a Sunday newspaper, the Sunday advertiser. 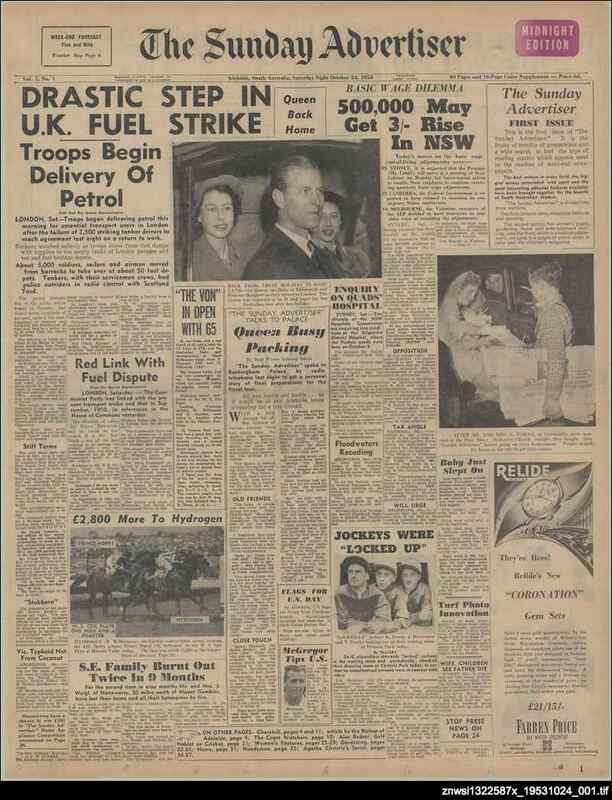 Initially broadsheet with a sixteen page colour supplement, the newspaper was changed to tabloid size from the beginning of 1954. It ceased in 1955 with the last issue being produced on 17 December 1955. After this date the Sunday advertiser was merged with the long running Sunday mail. The coverage was very similar to that of the Sunday mail, with much space given to sport - including horse racing - as well as sections on gardening, social pages (including several pages of photographs), a children's page, and comics. Max Fatchen wrote a column for the back page of the Sunday advertiser.